Fragrances have a special way of evoking our memories. I think it's because we live our experiences through our senses, and our sense of smell is a very important and acute but often forgotten one. I love that you can walk by someone wearing a certain scent and be reminded of a person you know. I have one particular shampoo that always reminds me of my father. I love that fragrances can bring these kind of memories back into our lives. Along with nostalgia, fragrances can also boost self-confidence and give you that extra bit of oomph when you're doing your thing, going about your day, strutting the street, and basically taking over the world. The following are a few of my favourite scents (both men and women) that I either own myself, or temporarily borrowed so I can show you guys how amazing the scents are! Chanel fragrance is a classic that I think most people either already own or should own at some point in their lives. Chanel fragrances can often be quite strong and robust. 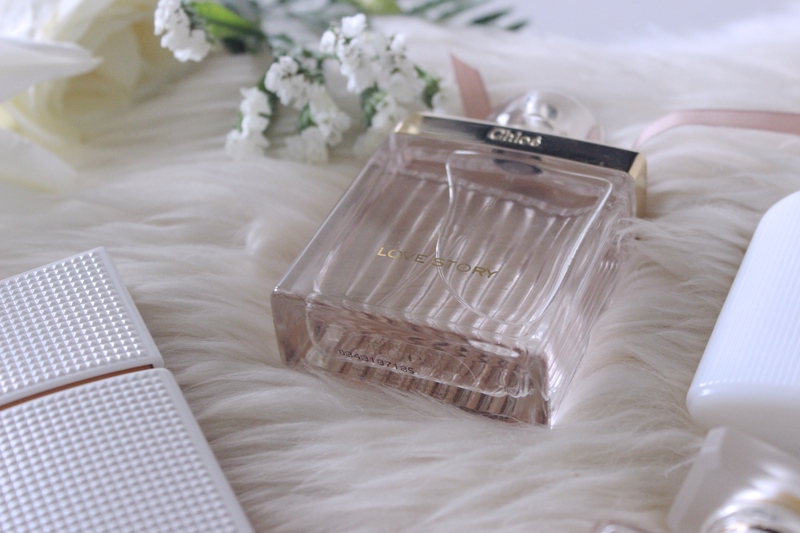 If you prefer light scents, I would either go for an eau de toilette by Chanel, Chanel Chance is a cult favourite OR not go with a Chanel at all. Chloe recently came out with a new addition to their fragrance line called 'Love Story.' Apart from the impeccable packaging and brilliant name, it also has a beautiful feminine and floral scent. I can see this fragrance as a nice daytime summer scent that if you ever come back to it in the future, it'll evoke the best memories. Tom Ford fragrances have a reputation of being robust scents with such as much of a punchy price tag. They are not cheap by any means, infact, nothing in the Tom Ford beauty range is reasonably priced. But with the fragrance, since it is so full bodied, you only need very little to last you the day. My god does it last though! This is a strong woody, elegant and floral scent. It's so sophisticated and one you can wear day and night. This is a personal favourite everyday fragrance for me. Peonies are one of my favourite flowers because they have such a sanguine aromatic scent. This fragrance has that peony smell through and through. It's not as fresh and light as the flower itself, it does have a musky kick to it but it makes for a beautiful blend. It is floral but not sickly, that's why its my favourite. I can't do a fragrances post and leave men out of it, can I?! As with most men's fragrances, if not all, Bleu de Chanel does have a musky note to it. It's what makes a fragrance a bit more robust and masculine, I suppose. This particular one is so elegant because it has a woody perfume to it as well, with cedar and sandalwood. As with all Chanel fragrances, it is full-bodied so a little goes a long way! I can't tell you how much I personally, a woman, love this fragrance. To me, it is primarily a woody fresh scent. It is available as a more intense form, for night time and as eau de toilette as well. Some of the other scents you'd smell could be a bit of citrus and ginger but its so well blended that it doesn't reek of just one perfume. If you're looking for a present for a man in your life, your father or for yourself, this would be my number one recommendation. I've bought my father this same bottle, TWICE. There are fragrances that I haven't mentioned in this post primarily because I didn't have them with me to take pictures of. There's a few I have used in the past, a few on my current wish list as well as popular fragrances that I want to talk about as well. First off, Burberry Brit and any Dior fragrances, primarily Miss Dior are classics. They're both scents you can wear year round! Burberry also does great ones for men. Tom Ford Costa Azzura and Dolce & Gabbana Light Blue (for both genders) are excellent choices for the summer time. Light Blue is a vacation in a bottle and Costa Azzura looks like a vacation in a bottle but honestly I'd wear it year round too. Specifically for men, Ralph Lauren Polo offers many different variations and is a popular one. Victor & Rolf offers great options for men and women, called Spice Bomb and Flower Bomb (respectively). Lastly, Jo Malone London specialises in fragrances that are meant to be layered or worn on their own. Their line is so beautiful and elegant, I genuinely want everything. If you're interested in layering fragrances, Clean and Atelier Cologne create fragrances in that style as well. 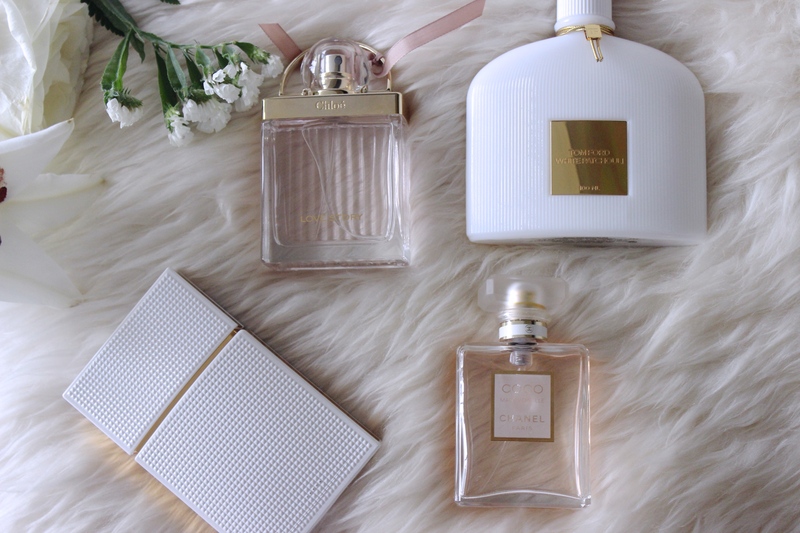 Hope you enjoyed this post and let me know what your favourite fragrances are in the comments below! I have the chloe love story, and I love perfumes, I am a perfume hoarder for sure, I love how it evokes memories and emotions.